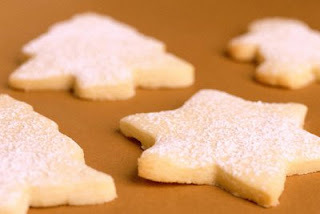 I don't know exactly why, but my favorite thing about the month of December is the fact that I know I will be baking a few batches of delicious, festive, warm and gooey cookies. The urge to bake cookies is a strange one. It brings me joy. Although I don't really know why. It is kind've the same feeling I get when I am oil painting. I look forward to it. I plan what I am going to do when I do it. I dream about it. I get prepped to do it. And in a form of fun meditation, I spend two or three hours painting. And in this case, an hour or so cookie baking. It gives me a festive, comforting feeling. The yummy vanilla-peanut butter smell doesn't hurt either... can't say that about painting though. They really should make cookie-scented turpentine. And yet I consider the fact that it is still a good helping of 'unnecessary' work to oil paint and bake cookies. I certainly don't need to do these things with the many to-do's already on my list. And I certainly don't get paid to bake cookies or oil paint. But this time of year, I get so much satisfaction from these activities. And in the end...I think taking a little 'me' time to do these things makes me a much better wife, sister, friend and professional. Decorating sugar and gingerbread cookies is my favorite festive group or pair activity. Peanut butter chocolate-chip has to be a traditional favorite. Unique favorite you must try: Oatmeal mint-chip. It's a blend of oatmeal cookie meets chocolate chip. But you have to seek out the rare and delicious MINT-chocolate chip. Especially around the holidays, they are a very refreshing after-meal treat. 1. Everyone brings a dozen cookies. 2. Everyone leaves with a to-go baggie of a dozen mixed cookies! You can add healthy bits and nibs to your favorite traditional cookie recipe. Yes nuts and oatmeal are great. But a few untraditional additions? Mashed pumpkin, chopped fresh banana, fresh cooked cranberries, honey-puffed wheat cereal, sliced strawberries, crumbled roasted chestnuts. Do you have any quirky cookie add-ins you love?